Before I get started on describing this would-be dessert turned disaster — wait, no. I think the title of this post pretty much sums it up. Two different foods, one type of dough. One day late, and many things short. I’ll admit that from the looks of these photos, these “cinnamon buns” weren’t a complete disaster. They tasted good, and were even fluffy inside, crisp and gooey on the outside. From the top, everything looks okay. But if you look at the bottom of these buns, they’re drenched in a thick black substance from burnt sugar and butter. Call it caramel had they been taken out of the oven a few minutes earlier. Tar, in this case. They scorched so bad it clouded my apartment in thick gray, and sent me to the ceiling on a stool as I fumbled with the smoke detector, trying to dismantle the screeching thing until I realized I was still wearing oven mitts. It’s all fun and games until the fire alarm goes off. The reason for this ill-fated improvisation boils down to two weekend events. A couple friends of mine threw a pizza-making party on Saturday. 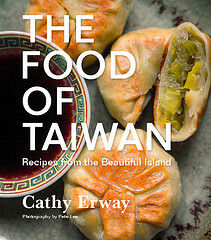 The next day, I was to attend a bake sale, to raise funds for low-income shares through my new CSA. Just before heading out for the pizza party, grabbing whatever veggies were in my fridge, and the rest of that divine ricotta from last week, I questioned the need to bring my own homemade dough. 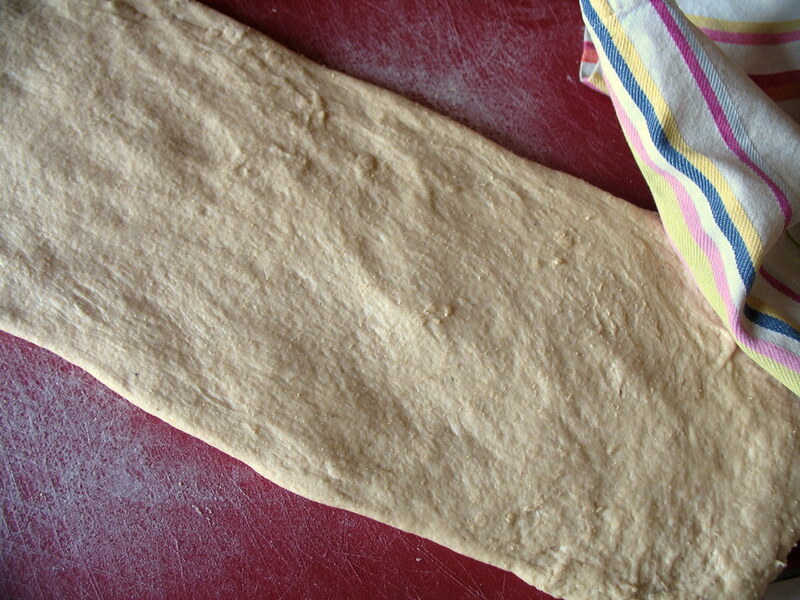 I texted my friend, but in the meantime, rolled up my sleeves in a batch of basic whole-wheat pizza dough. Kneading frantically, the phone lit up with a message. It turned out that my friend had already mixed, kneaded and leavened a stupefaction of pizza dough, and needed no provisions in that department. I threw a towel over my ball of dough and let it rise the rest of the night as I ate pizza after pizza in Park Slope. I had no idea what to bring to the bake sale the next day. Remembering the dough, which I’d covered in plastic and moved to the refrigerator overnight, I thought of savory, pestoed, or garlicky rolls of some sort. But that didn’t sound very bake sale-worthy. 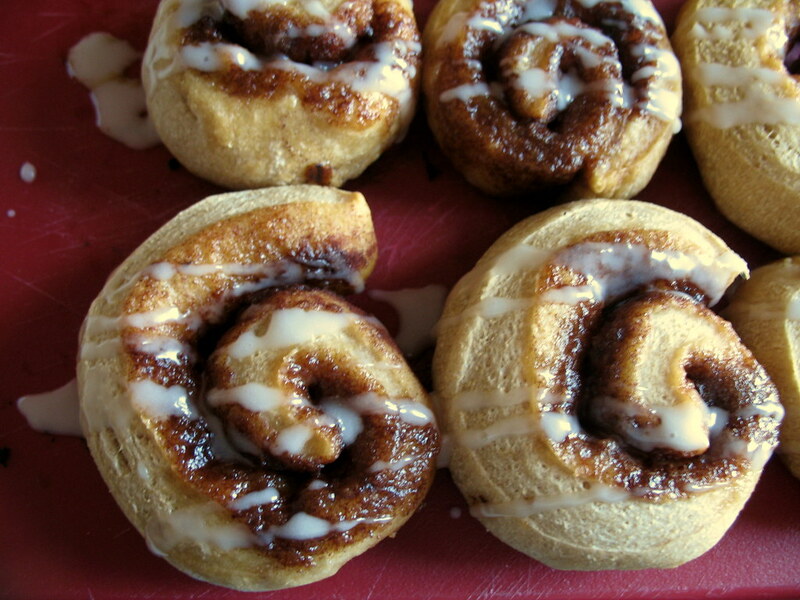 Imagining how I might layer a savory spread through the dough, the image of a spiral appeared in my head, and the iconic cinnamon bun soon followed. Serendipity! Or so I thought. I have an idea of what went wrong here, and it begins with the lack of butter, sugar or overall cake-iness of the yeast dough. 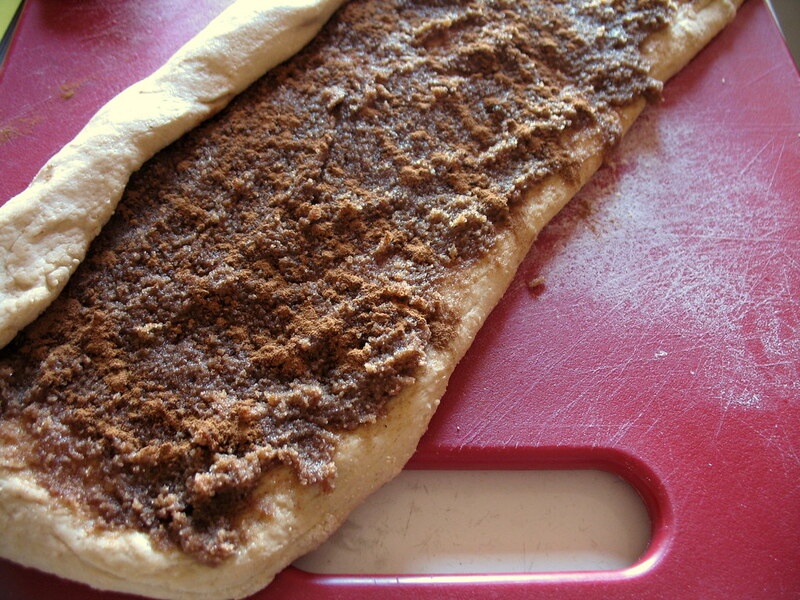 I wouldn’t have minded the slightly savory, whole-wheat nature of this dough for cinnamon buns alone. 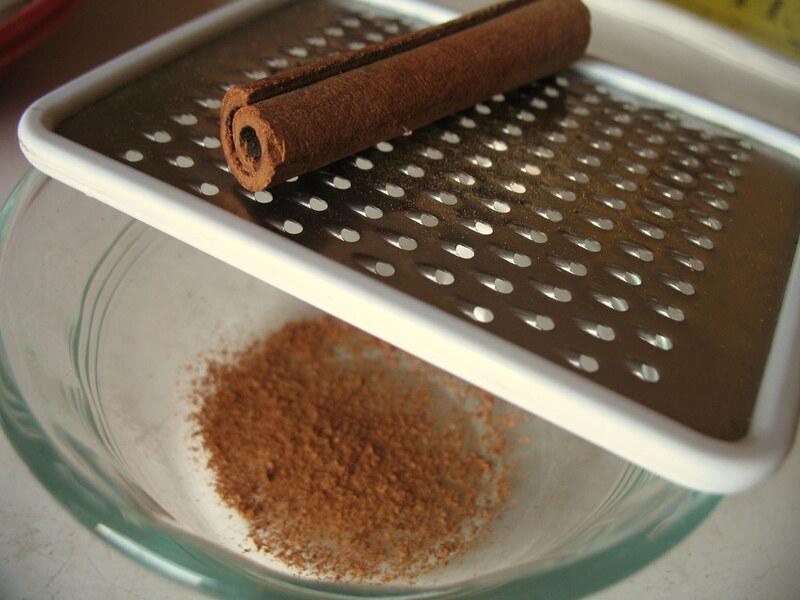 But to get a sweet ring of brown sugar and cinnamon in them, I blended these up with butter and spread it in a thick layer on the rolled-out dough. 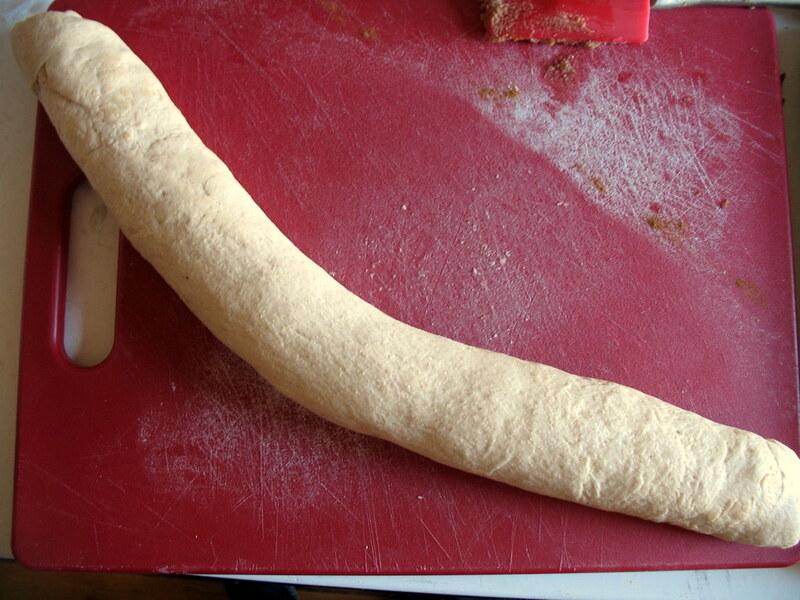 Then, as with any cinnamon bun recipe, I rolled the dough into a long snake. 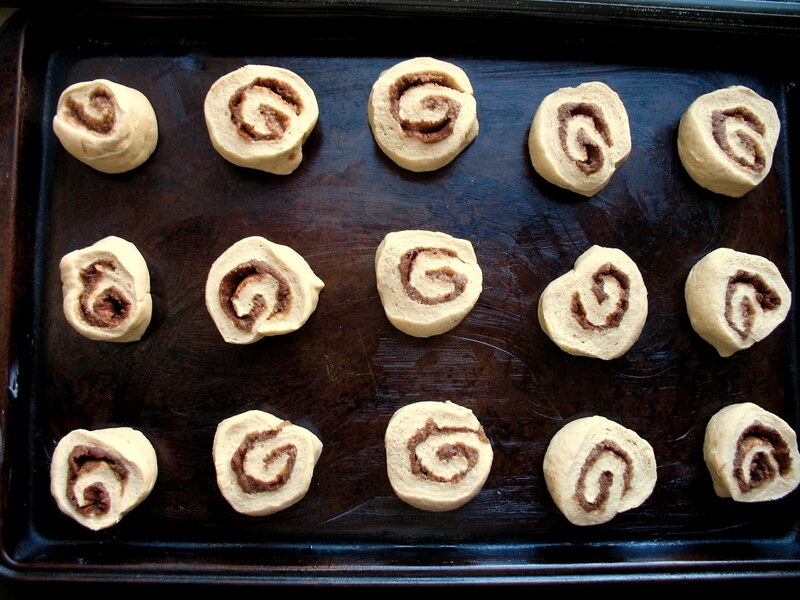 Cut them into rounds so that they looked, uncooked at least, like precious cinnamon rolls-to-be. But once it got hot, the butter and sugar was so not incorporated into the dough that they spread disastrously all across the bottom of the pan. There, the gunge continued to bake until nicely incorporated onto the pan, in a black crust. After the smoke detector debacle, after removing each sad little bun from the pan before they could become glued for eternity, and after bringing the somewhat less burnt ones from the batch, shamefully, to the CSA bake sale, I’m glad I at least got a good (if obvious) lesson from the experience. Not every leftover invention is a good one. And never try to make a dessert you’ve never baked before using the wrong kind of dough. Hey I still give you major kudos for giving it a whirl. How did the bake sale go? It was a great idea though! And they tasted good – so that’s another plus! Thank you for posting this! I’m listening to the audio book version of _Animal, Vegetable, Miracle_, and it’s really irritating that every stinkin’ thing just turns out fabulous, every single time, and nobody ever complains about anything! I’m finding it a little hard to believe that there weren’t a few cooking disasters, whiny kids, and married couple spats that she left out. So keep those disasters coming! It endears you to your fans! Every dessert has a story behind it. So now you’ve one for yours. 🙂 They look lovely and gooey. 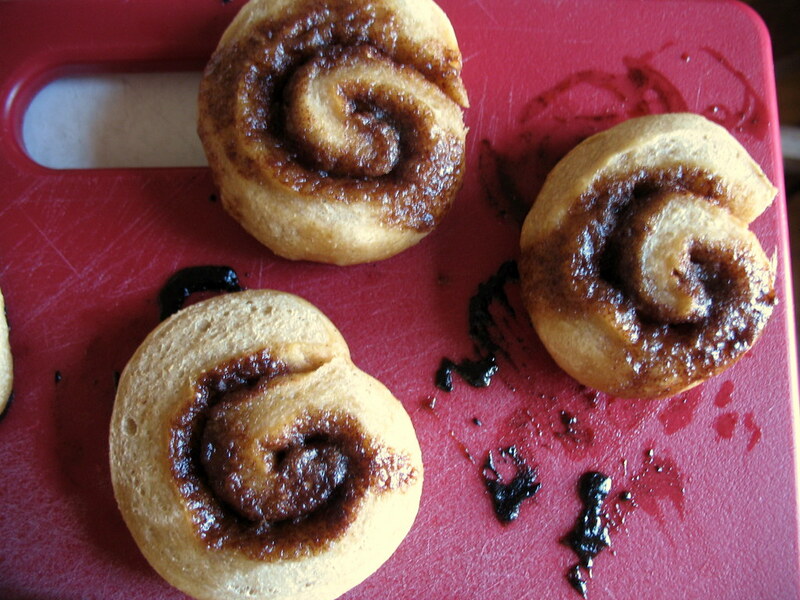 wondering if you made mini pizza dough rounds and placed butter sugar mixture ontop…if it would have prevented the seeping gooey mess and you would be left with the sugary-cinnamon and savoury whole wheat dough flavor profiles you had anticipated? sounds yummy!